How will the parents, godparents, and children you meet today grow into missionary disciples, and how will they help the rest of your parish do the same? Infant baptism ministry is a growing edge in the Catholic Church. At a time when Mass and religious education attendance are largely waning, leaders of infant baptism ministry have a chance to see families face-to-face that they may otherwise never meet. If you are a parish leader looking for a place to spend energy affecting change in evangelization and catechesis, this is one of the best places to start. Everything we do as Jesus' disciples must begin, be motivated by, and lead to greater prayer. Our ministry with parents and godparents is about creating space for the Holy Spirit to lead families deeper into the love of God. Though it is important families understand the teachings of the Church, ultimately from this time of preparation they will pick up on the amount of love and charity we show them. Let us give love permission to work in us through prayer. The measure of our work with parents and godparents will be about how much we have helped their "becoming more like Jesus." We invite families to conversion knowing that it is God who works in them. We may never see the fruits of this ministry, but all of our aims should be directed toward the conversion and renewal of the hearts of parents and godparents. Because baptism is initiation into the life of the Church, every aspect of the local parish community is about preparation for baptism. From the first call or meeting, to the class, to the ceremony, everything is linked to the initiation and welcome of the family before us. Let us hope to accompany this family time and time again throughout their life in the Church. Fr. Aidan Kavanagh, OSB presents a seminal text on Christian Initiation: its origins, developments in the Second Vatican Council, and its importance for the Church today. Though written 40 years ago, the book carries a prophetic voice as it addresses the joys and struggles of fostering renewal in a Church built upon conversion and discipleship. 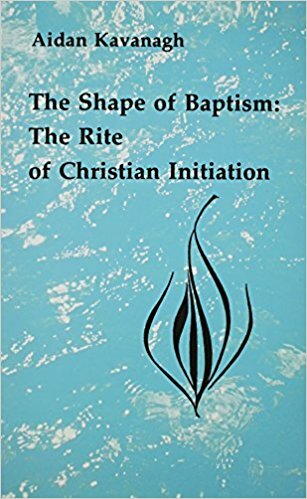 See the introduction, and chapters 3, 4, and 6 for an overview of baptism and Kavanagh's pastoral guidance for modern day ministry. Click on the picture on the left for more information about the book. Fr. James Mallon re-presents the missionary vision of Pope Francis and his recent predecessors to outline the movement from becoming a "maintenance" to "mission" parish. 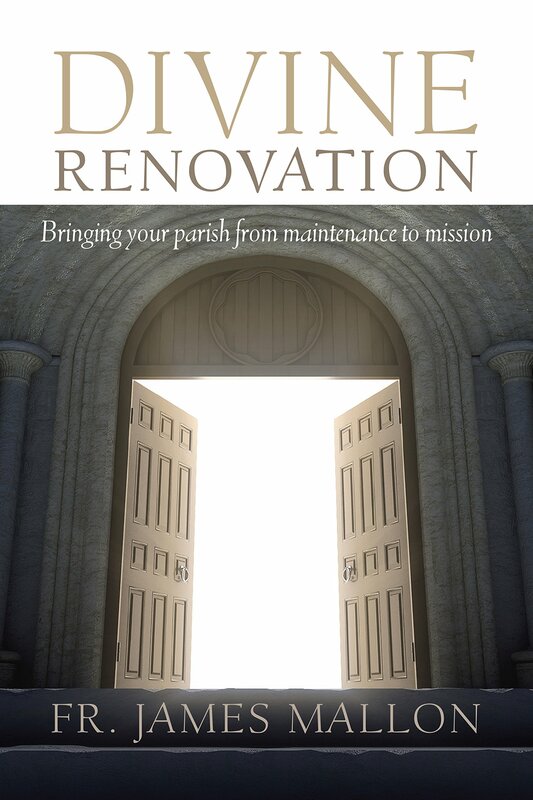 The entire book introduces a new way to model parish life. His chapter on the Sacraments - "entering through the front door" offers an assessment of infant baptism ministry today as well as first steps a parish might consider taking to invite parents and godparents into a lifelong relationship with God. Belonging is an infant baptism preparation program from Ascension Press comprised of three parts: parish preparation, study event, and a ten-week follow-up devotional series designed to bring families closer together and closer to God. The goal of the program to help parents, godparents, and children to be baptized feel intimately a part of the family that is the Catholic Church. The videos are led by Fr. Mike Schmitz, and every family receives a personal journal to guide reflection throughout their child's initiation into the Church. Belonging is as much a preparation class as it is a process of welcoming families into the life of the parish. Watch the preview below and follow this link for more information. Contact Joe Fredrickson to start a conversation on bringing Belonging to your parish. The Infant Baptism preparation program from Growing Up Catholic is about initiating dialogue with and among parents and godparents. The program is rooted in discussion: each part of the study event is cased within conversations about connecting Faith with life. At the center of the program - during a conversation on the "death and new life of baptism" (cf. Romans 6) - parents reflect on the times they have already "died to self" in caring for their children and what "new life" this gift of self has brought. Growing Up Catholic offers this program at low cost to parish leaders and has structured it to take place over one or two sessions. Click here for more information, and contact Joe Fredrickson to learn more about fostering this experience for your families. One of the biggest areas for quick growth in infant baptism ministry is in follow-up with families after their child's baptism. 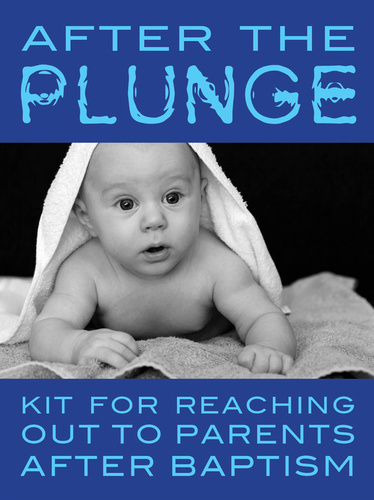 One resource for this is After the Plunge: Kit for Reaching out to Parents after Baptism. After the Plunge is a series of several letters to be sent to parents at various points following the baptism of their child. The letters are customizable to include valuable information about the life of your particular parish. This is a great way to show parents that we as Church care about their souls and want to be in real relationship with them. Click here for more information on After the Plunge. Many parishes in Dallas have already begun to invest in this kind of follow-up with parents after baptism. Reach out to Joe Fredrickson to hear more or share stories of how your parish has already begun to connect with parents during this fruitful and frenetic time in their life. The Catechetical Services department wants to learn more about how infant baptism ministry currently looks in your parish and start a conversation on how parish leaders - volunteers, parish staff, pastors, and diocesan coordinators - can work together to encounter and accompany parents and godparents during such a time as this in the life of their child. If you have not done so already, please take some time to complete this short Infant Baptism Inventory. The information you share here will offer a great snapshot of ministry in your parish and across the Diocese. Of course, the best way to share your story of infant baptism ministry is through dialogue. Please call or email Joe Fredrickson at 214-379-3171 or jfredrickson@cathdal.org to talk about how we can together better evangelize and accompany families as a Diocese.